Following his residency training, Dr. Talei became one of the only surgeons in the country to complete two separate fellowships in Facial Plastic & Reconstructive Surgery. First he completed one of the most revered and prestigious fellowships in the country at the New York Center for Facial Plastic & Laser Surgery with Dr. Andrew Jacono. Simultaneously he offered his skills and training while serving as voluntary staff and teacher for the Resident Head & Neck Surgeons of the Albert Einstein School of Medicine. Dr. Talei then furthered his training with Dr. Milton Waner at the Vascular Birthmark Institute of New York, a part of Lenox Hill and Manhattan Ear, Eyes and Throat Hospitals. There he treated the most rare and devastating Vascular Birthmarks & Congenital Anomalies while refining his techniques in Pediatric Facial Plastic Surgery. 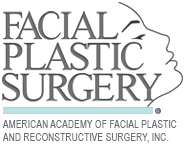 Dr. Talei is dual board certified in facial plastic and reconstructive surgery. Integrated fully into the Beverly Hills community, Dr. Talei is a member of the Beverly Hills Health & Wellness Committee. He is also on staff at UCLA Ronald Regan Medical Center, Santa Monica UCLA Medical Center, Cedars-Sinai Medical Center, and Children’s Hospital of Los Angeles. Dr. Talei is also an avid author and speaker. He has been invited to speak at national meetings and has contributed significantly to medical literature with his research and publications in medical journals and textbooks. His publications on Advanced Face and Neck LiftingTechniques and Revision Rhinoplasty are used to teach doctors nationwide. 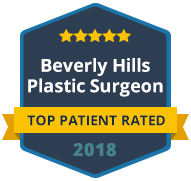 As a sub-specialist in Deep Plane Facial Rejuvenation & Facelifting and Minimally Invasive Rhinoplasty, Dr. Talei frequently accommodates visiting surgeons in order to teach them more advanced surgical techniques. He is most well known for his rapid healing times, very natural, long-lasting results and impeccable facial aesthetic. Dr. Talei has a dedicated expertise to the Face and has been featured on Fox, NBC, and Inside Edition amongst a host of other editorials. Dr. Talei’s truest passion is connecting with and helping others. He considers himself one of the luckiest people in the world as much of the time he is able to help others with his medical and surgical skills, and enjoys operating more than anything else. Several times a year, he travels on various surgical missions to less fortunate countries in order to treat those patients who can’t receive the help they need. Dr. Talei has volunteered with Operation Smile, HUGS (Help Give Us Smiles), and Healing the Children on Cleft Lip & Palate and Microtia missions in Honduras, Ecuador, Vietnam, and Colombia. Another integral part of his daily life is helping others by fundraising. In order to support the Brad Kaminsky foundation, Dr. Talei set up a “Heroes for Hope Race” in Manhattan and Brooklyn, raising money for Brain Cancer Research. Later he established another charity with his brother – the Drive Against Domestic Violence. This is a car and driver based organization raising funds and awareness for two organization he reveres and works with intimately – the National Coalition Against Domestic Violence (NCADV) and the Face-to-Face Surgery Program of the American Academy of Facial Plastic and Laser Surgery. The NCADV has noted that Dr. Talei has single-handedly raised more funds and awareness for the organization than any surgeon in their history. Dr. Talei furthered his efforts and outreach by offering supporters and abuse victims complementary Botox treatments, reconstructive and cosmetic in order to raise more money and awareness for the two organizations. He even organized a cross-country drive from New York to Miami to Los Angeles driving through 23 States in order to spread awareness through various events. 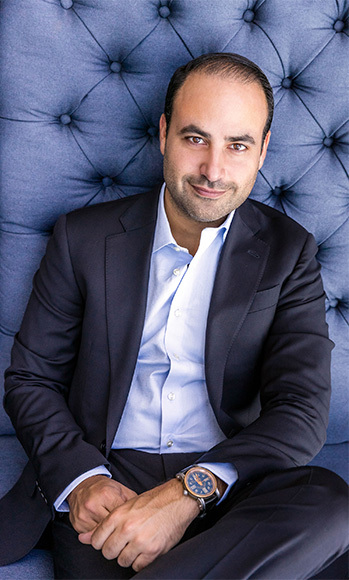 Although Dr. Talei loves the artistry and complexities of facial plastic surgery more than any other activity, he has several other vocations as well. From a young age, Dr. Talei excelled as a piano teacher and composer. He would teach children in underserved communities free of charge. At the same time, he served as a youth mentor with COPE (Community Outreach for Prevention and Education) in Venice and East Los Angeles and with the Big Brothers of UCLA. Constantly in the pursuit of artistic and technical skills, Dr. Talei frequently has always enjoyed endeavors that involve working with his hands. From childhood he has been involved in upholstering, sewing of Victorian lampshades, carpentry and stone sculpting. He is also an avid cook with an ever-growing list of recipes. Following his other passions, Dr Talei volunteered for the National Ski Patrol in Big Bear, CA. Simultaneously he volunteered as an EMT driving an ambulance as well. Beyond this, his affinity for automobiles led him to pursue offshore boat and auto racing since he was a teenager.